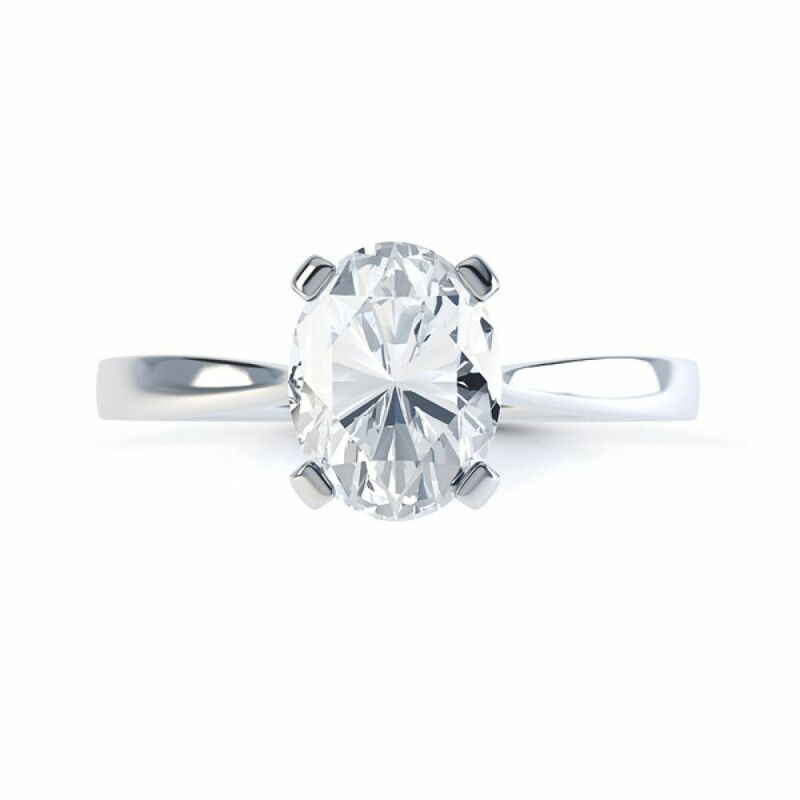 Choose your preferred diamond for this oval solitaire diamond engagement ring with a modern 4 claw setting with elegant comfort fit band. This modern 4 claw Oval Brilliant cut Diamond ring is sourced with the finest Diamond of your choice to create a bold striking statement. This piece is distinctive and bursting with vibrancy. Your Diamond is sourced with the best Diamond experts with your specifications of Diamond carat weight, colour and clarity. 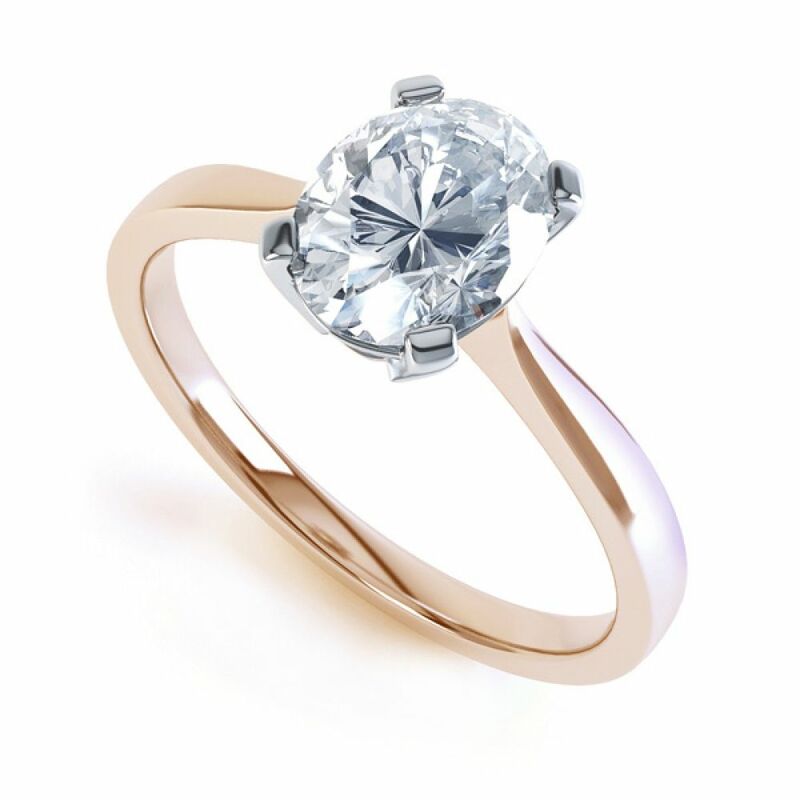 With most options including full GIA or IGI Diamond certification. The slender band adds a comfort fit for everyday wear, you can choose from a variety of beautiful finishes including 18ct White Gold, 18ct Yellow Gold, 18ct Rose Gold, 950 Platinum, 950 Palladium. 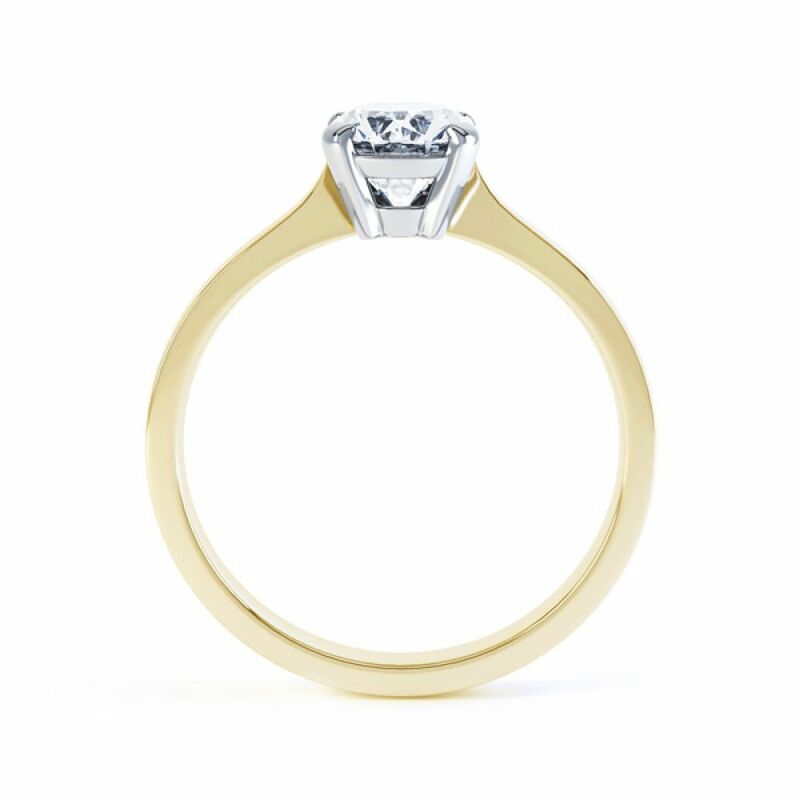 You can also choose from our Fairtrade Gold options to add a complete ethical reassurance. 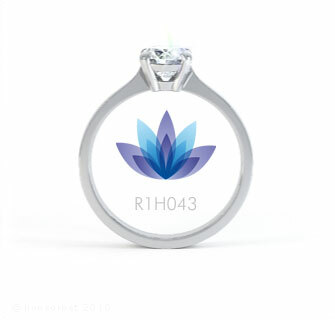 This finished ring will be with you in 3-4 weeks hand delivered to your door in our bespoke branded packaging, inside our tamperproof outer wraps for added security.